Ilz ayment ainsi les marys. When we’re pouring Gigondas down our gullet after watching Etoile Sportive Catalane slugging it out with Hagetmas, their federal 1 rivals in Argelès sur Mer, Georges likes to read passages from the Testament,while cooking up boulettes de viande à la catalane. 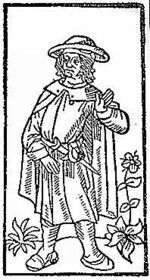 Villon was a poet, a thief and a vagabond, his spirit is that of the troubadour poets, the heretics, the spiritual father of Rimbaud, the stiletto bearing psychopath of another time. 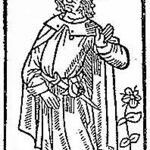 Luckily, de Gourmont, also inspired by Villon, exhumed the Rome low latin vulgar poets. The truest words come from the bottom, only bums and thieves care about language; it’s always been that way. Et arraché la barbe et les sourvilz. The rhythms are like Bukowski’s.